Here are some of the positive comments that we have received from clients who have invited us to deliver Brexit presentations and Q&A sessions. As Parliament continues to debate, EU citizens and their families remain confused about the approach they should take to secure their long-term status in the UK. While there is no obligation for employers to support their EU staff in registering for the Settlement Scheme, we have found that many of our corporate clients are keen to review the status of their EU population and provide assistance through this necessary process. Through our Brexit Immigration Service, our team will assess your EU workers’ individual circumstances and help them avoid any errors or omissions when applying under the scheme. Audit We will review the status of all EU employees to see how the Settlement Scheme will affect them and their families. Surgeries With your consent, we will provide on-site one to one drop-in sessions with your EU employees. Application submission We will assist with submitting pre-settled and settled status applications via the EU Settlement Scheme on behalf of your workers. Compliance We will review your Right to Work checks and provide advice on best practice post-Brexit. Tracker Our secure software platform will provide your business with a real-time overview of the current progress made by your EU staff towards settled status. 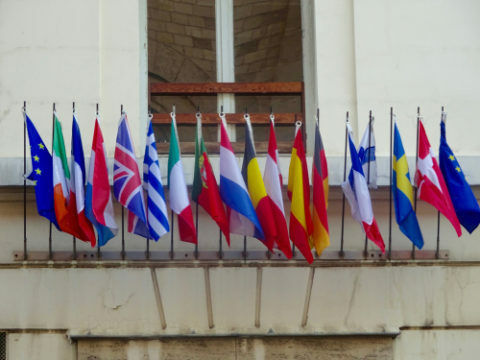 Contact Smith Stone Walters today and start supporting your EU employees through the EU Settlement Scheme process.